When this Audi A7 arrived at Clear Bra Ohio it needed some attention. Having racked up over 36,000 miles in the harsh Ohio environment, it needed a midlife facelift to restore it to it's former glory. Both the interior an exterior were showing signs of wear, so we got started thoroughly cleaning the interior. We thoroughly cleaned all interior surfaces and then treated and protected the carpet and later with Opti-Guard. The final product was nothing short of stunning and returned this interior to a near-new state with protection in place to keep it looking that way. 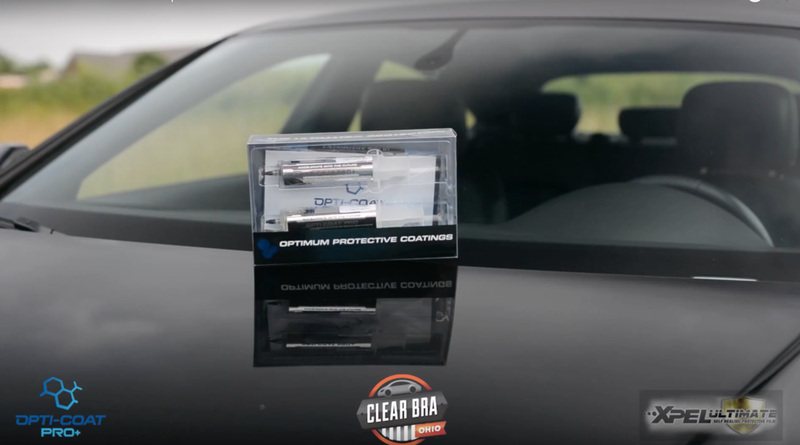 Check out this video that details out the interior cleaning and protection of this car. Now, on to the exterior. As you can imagine, after 36,000 miles, this car's exterior needed some attention. The paint was badly damaged from several years of Ohio road and weather conditions. We began by giving the vehicle a thorough cleaning top to bottom. We began by giving the vehicle a thorough cleaning top to bottom. After the vehicle was can, we did a multi-stage paint correction to restore the factory black paint to stunning gloss. After the exterior again looked factory fresh, we proceeded to the protection phase of this job. We began by applying a 3M Scotchguard Pro Series paint protection film to the front end to help prevent paint damage caused by road debris, insects, rock salt, etc. After the clear bra was applied and allowed to dry, we protected the entire exterior of the car with Opti-Coat Pro Plus paint coating. This protective layer will keep this car's paint looking great for many years to come. As you can see from the final picture, the results are stunning. This car looks as beautiful as the day it was delivered new. Better yet, the protection will enable the owner to keep it looking this way. Check out this video that gives an overview of the process we completed on this Audi. Call us today at (937) 271-8366 to see how to protect and preserve your vehicle while keeping it looking beautiful. There is a difference. Choose the best. Clear Bra Ohio.